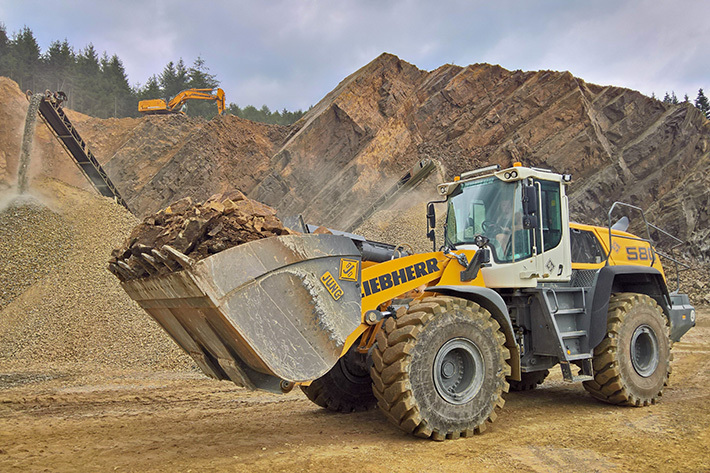 Liebherr Loader plays key role in quarry extraction. 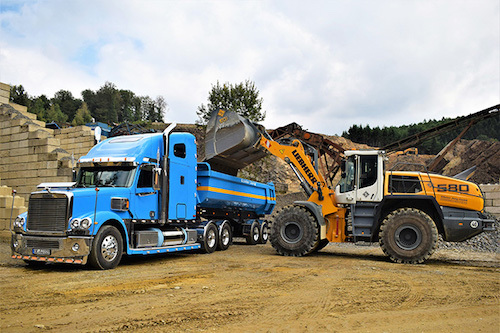 Based in Germany’s Sauerland region in North Rhine-Westphalia, quarrying company Günter Jung GmbH operates a very special fleet of machinery, which boasts the L 580 XPower® wheel loader as its latest addition. 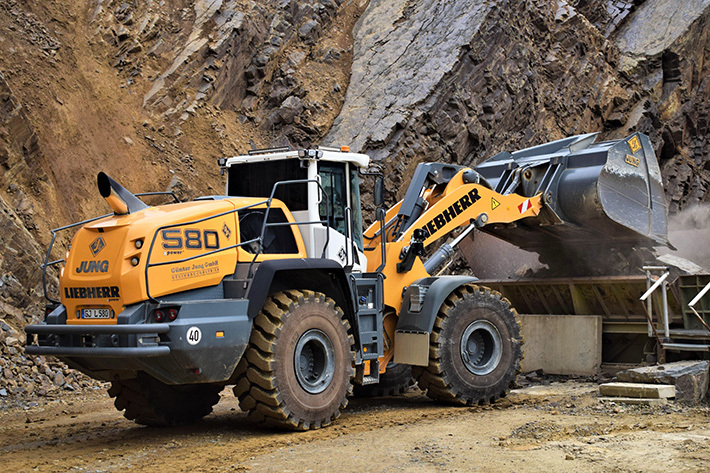 About a year on from purchasing it, company owner Günter Jung is very satisfied with the machine: ‘We are glad to have chosen the XPower® wheel loader from Liebherr. It delivers loads of power while being efficient and reliable’, he said. The L 580 XPower® is predominantly used in load-and-carry applications and feeds material into crushers and lorries. An eye-catcher in its own right, the wheel loader turns even more heads when it is loading one of the American lorries.